Outside of the unspeakable fame and groupies, the best part of being a movie critic is getting a peek at stuff you may otherwise never see. One of my favorite annual traditions is checking out what the Academy felt were little films worthy of a little guy made of gold. This year’s group is cross-my-heart-and-hope-to-die (no takebacks) the best slate yet. One of two live-action shorts this year to remind us that “walking uphill both ways to school in the snow” isn’t as bad a childhood as “living in squalor in a war-torn hell hole.” Asad (Haun Mohammed) is tough, spirited boy unafraid of neither the militia that roam Somalia nor coming-of-age. Fishing plays a central role, but the meaning behind what is actually caught is at once charming and chilling. It was as if this film finished watching Asad and hummed “anything you can do, I can do better.” Thematically and visually similar, the film is set in a village that’s mostly rubble in modern Afghanistan, where two young boys play. And by play, I mean they watch games of polo where the “ball” is a dead goat. Fun, right? The dichotomy between a vagabond and a miserable blacksmith’s apprentice is less “have and have not” and more “have not and have-slightly-more.” Buzkashi Boys is bleak, brief and beautiful. It’s not England’s fault that Michael Haneke’s Amour already said everything that need ever be said about the sorrow, beauty and indignity of aging (in French, even). Henry (Gérard Poirier) is an elderly former concert pianist who is seemingly abducted, struggling to find his wife. Of course, the reality of the situation is far, far more soul-crushing, but in comparison to Haneke’s film, merits nary a sniffle. I don’t know that I’ve seen a better introduction to a character than to Richie (Christensen), who we meet taking a phone call in a bathtub after he slit his wrists. Don’t worry, he gets out to go babysit his estranged niece (Fatima Ptacek). The bleak setup gives way to effortless, sincere emotion that vary nearly pushed this to the top of the pack. For what it’s worth, someone should really give Christensen a big-boy job soon. I loved Pixar’s entry last year, La Luna, but something about old-school, hand-draw animation makes me giddy that Disney’s entry doesn’t fall under the Pixar umbrella. This dialogue-free tale of a chance encounter is positively swoon-inducing, with its gray palate and pencil-sketched vibe. It’s enough to make you hate computer animation. 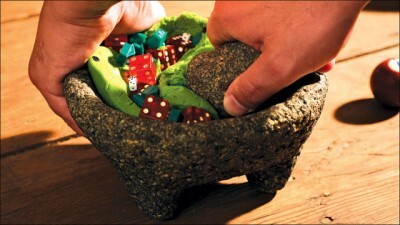 Watching under two-minutes of stop-motion animation wherein various objects (mostly gambling-related for some reason) are turned into guacamole dip and chips is surprisingly awesome. I mean, completely weird and pointless, but totally awesome. Solidifying this year’s Oscar theme as “couples growing old and making you happy and sad at the same time,” this tale of a man who lives on the floor and his estranged wife who lives on the ceiling is an obvious metaphor with some nice Claymation to boot. A little cloying with its claying, but still a sweet reminder of love’s common ground. This romp through the Ayn Rand School for Tots is full of the same social-skewering and madcap antics that have marked “The Simpsons” since its debut on television in 1853 (I think). Built to be seen in 3D, this is a somewhat surprising nominee if only because it doesn’t really stand out from what we’ve all become familiar with, even if it’s hard to turn down a good Ayn Rand joke (sorry, Paul Ryan).